At Pilgrim, we provide high quality Christian education for primary aged children. We offer a caring environment that enables children to grow and develop as individuals and as a part of a supportive, engaging community. We are a vibrant, energetic and enthusiastic school. You will discover our staff to be caring, compassionate, skilled professionals. Staff seek to connect with families to better understand the students in their care. We work in partnership with parents and caregivers to assist the development of each child. Our passion is to see each child thrive and excel to the best of their ability. Pilgrim is part of a shared, collaborative campus incorporating Nativity (Catholic) and Thiele (Department for Education) schools. Having 3 unique schools on a single site enhances our access to a range of facilities, learning opportunities and programmes in a co-operative community arrangement. Our Christian faith is foundational to all we do. It informs our teaching practices, curriculum and pastoral care. It is at the very core of each staff member’s involvement with the school. We support students to investigate, grow and live out their faith in a safe, caring community. If you have any questions about our school, please feel free to contact our staff team to discover more. 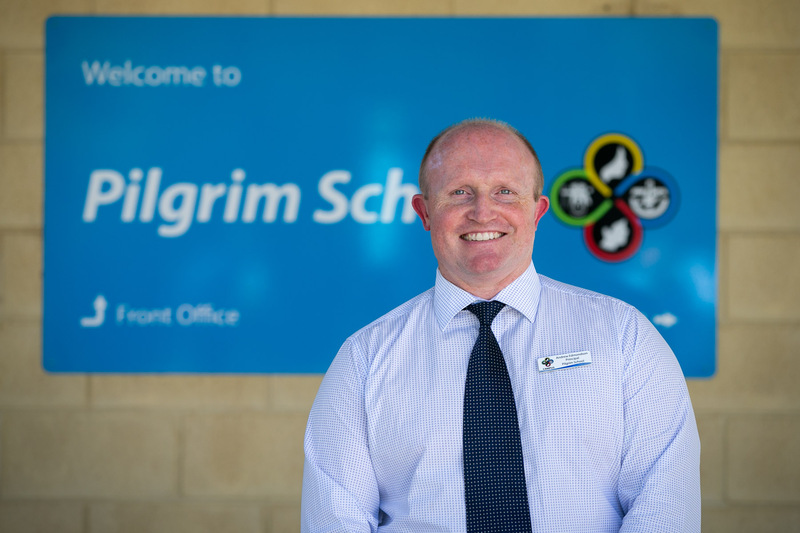 Pilgrim School attracts families from a variety of suburbs, including Aberfoyle Park, Flagstaff Hill, Happy Valley, Woodcroft, Morphett Vale, Clarendon, Cherry Gardens and O’Halloran Hill, extending out to Hallett Cove, Eden Hills and Coromandel Valley.